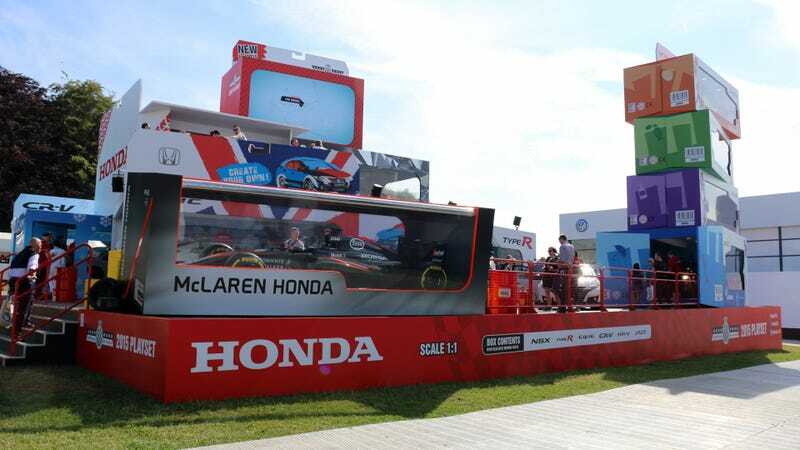 Rumor has it that the displayed McLaren-Honda is also much faster than the similarly colored horse carriage Fernando Alonso drives during the weekends. Carmakers take the Goodwood Festival of Speed rather seriously, with most being very eager to be here to present their latest and greatest to those 200,000+ visitors who come here during the weekend. In fact, I reckon Honda should start converting its dealerships right after they pack up here on Monday.